An Address Delivered before the Graduating Class of the Medical College of Georgia, March 1851. The True Physician: An Address to the Graduating Class of the Memphis Medical College, session 1851-2. Memphis: Appeal Book and Job Office, 1852. A Report on the Health and Mortality of the City of Memphis, Tenn., for the Year 1852. Memphis: Moseley, Finnie & Pryor, Eagle and Enquirer Steam Press, 1853. Nashville: Bang, Walker & Co., 1858. A Plain Tract on Confirmation for Parochial Use. New York: D. Dana, 1858. A Few Words about Lent, with Penitential Psalms, Sentences from Scripture, and Other Devotions Suitable for that Holy Season. Selected by a Layman. The Confederate Soldiers' Pocket Manual of Devotions. Charleston, South Carolina: Printed by Evans and Cogswell, 1863. Balm for the Weary and the Wounded. Columbia, South Carolina: Evans and Cogswell, 1864. Charlotte, North Carolina: Protestant Episcopal Church Publication Association, 1864. 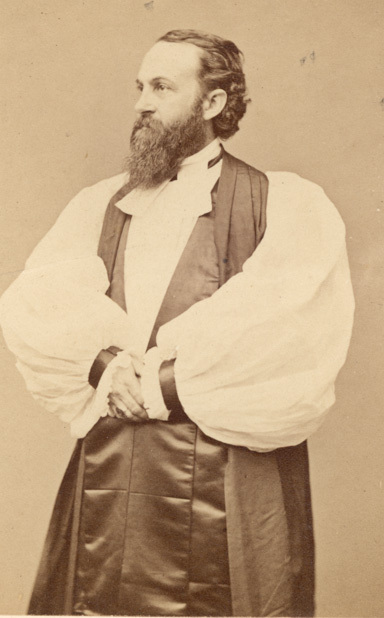 A Sermon, preached in St. Luke's Church, Philadelphia, October 11, 1865, Before the General Convention of the Protestant Episcopal Church on the occasion of the consecration of the Reverend Charles Todd Quintard, M.D., As Bishop of the Diocese of Tennessee, By The Right Reverend Wm. Bacon Stevens, D.D. Bishop of the Diocese of Pennsylvania. Philadelphia: Charles T. Adams, 1865. 29 pp. Pastoral Letter to the Clergy of the Diocese of Tennessee. A Charge to the Clergy of the Diocese of Tennessee: Delivered in St. Luke's Church, Jackson, at the Diocesan Convention, 12th of May, 1870. New York: American Church Press, 1870. New York: Pott, Young & Co., 1875. The Protestant Episcopal and the Reformed Episcopal Churches. Is the organization of the Reformed Episcopal Church justifiable? Correspondence between Bishop Quintard of Tennessee, and Dr. Howard-Smith of Newark, N.J. With additional notes. Philadelphia: James A. Moore, 1877. In Memoriam The Rev. Charles Carroll Parsons, Rector of Grace Church, Memphis, Tennesee. A Sermon Preached before the Nashville Convocation, in Grace Chapel, Spring Hill, Tennessee. By the Right Rev. 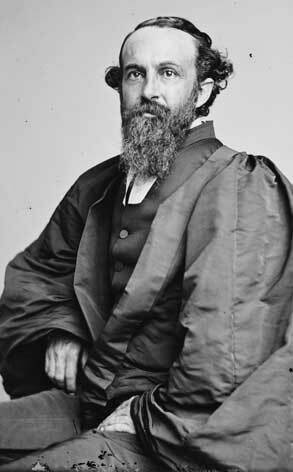 Charles Todd Quintard, D.D. Bishop of Tennessee. New York: E.P. Dutton, 1879. 30 pp. The Sisters of St. Mary at Memphis: with the Acts and Sufferings of the Priests and Others Who Were There with Them during the Yellow Fever Season of 1878. New York: Printed, but not Published, 1879; 62pp. A Sermon preached upon the Occasion of a Eucharistic Commemoration of the Clergy and Sisters Who Fell Victims to the Fever in the South. By J. Jay Joyce. St. John's Church, Washington, D.C. All Saints Day, 1878. A Lenten Pastoral for 1878. Address in Memoriam of Wiley B. Miller Delivered in Calvary Church, Memphis, Tenn., Sunday, March 30, 1884. Memphis: S.C. Toof and Co., 1884. An Address Delivered in St. Augustine's Chapel, Sewanee, Tenn. at the Meeting of the Board of Trustees of the University of the South on Thursday, July 31st, 1890. New York: J. Pott, 1890. Memorial Sermon on the Rt. Rev. Alexander Gregg, D.D., Bishop of Texas. Sewanee, Tennesee: University Press, 1893. Doctor Quintard, Chaplain C.S.A. and Second bishop of Tennessee, Being His Story of the War (1861-1865). Edited by Arthur Howard Noll. Sewanee, Tennesee: The University Press, 1905. Sewanee, Tennesee: The University Press, 1907.